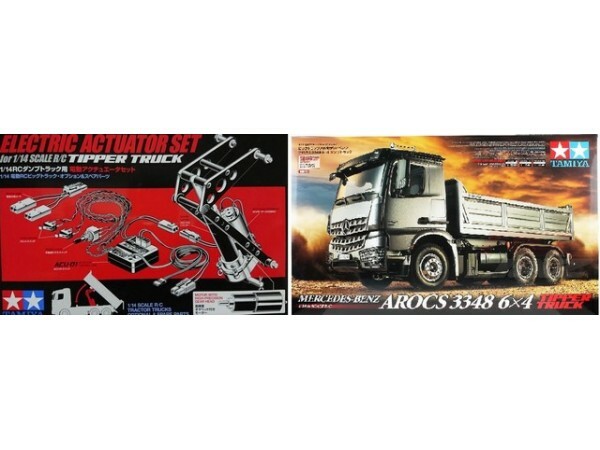 This is Tamiya 1/14 Mercedes Benz Arocs 3348 6x4 Tipper Truck Car Kit EP. This is a highly accurate 1/14 scale radio control model that recreates the Mercedes-Benz Arocs dump truck. It features a highly realistic truck bed section behind the cab which can be operated by the radio transmitter, using the separately-sold Actuator Set (Item 56545)!